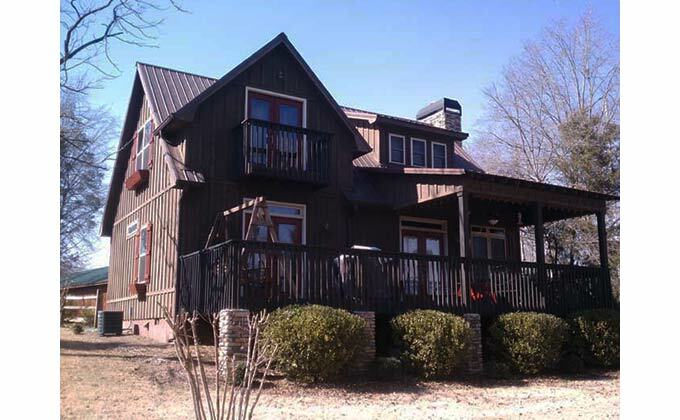 Lake James Cabin is a small bungalow cottage house plan with an open deck, screened porch and top balcony. It has 3 bedrooms, 2 1/2 baths and plenty of storage for your lake toys. There is a stone fireplace in the family room and kitchen area. This plan will work great on a small lake lot, in the country or at the mountains.